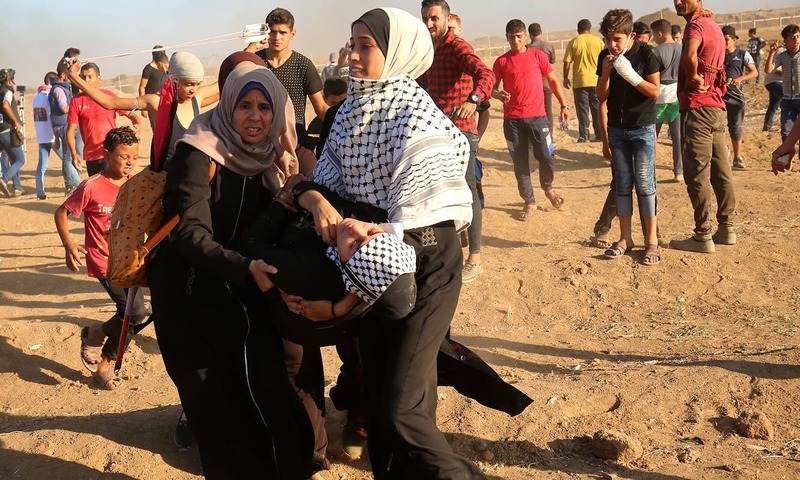 Three Palestinians, including a 12-year-old, were shot dead by Israeli fire in new clashes along the Gaza border on Friday, the health ministry in the Hamas-run enclave said. 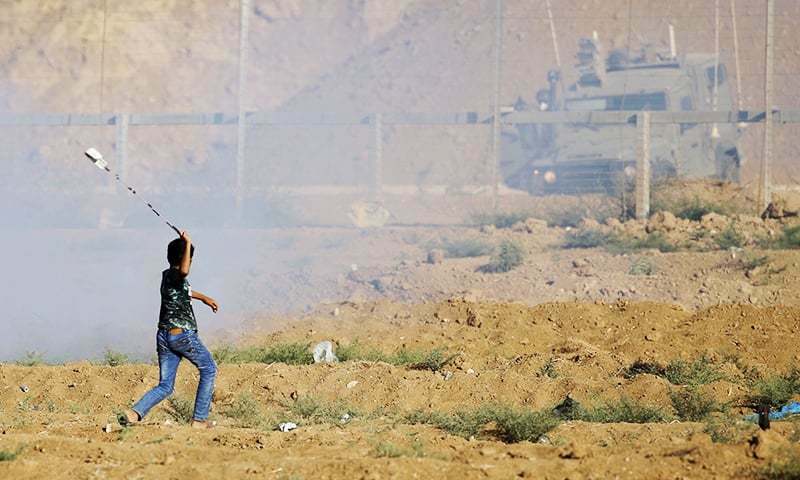 The ministry said 12-year-old Shadi Abdel Aal was shot east of Jabalia in northern Gaza. 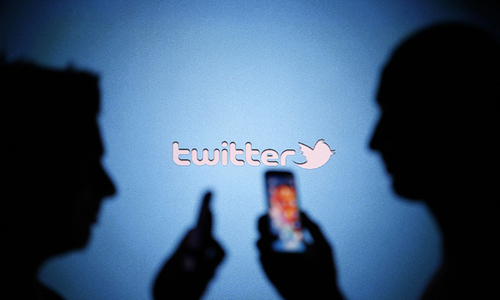 It had previously said he was 14 and a medical source had named him as Mustafa Abed Rabbo. 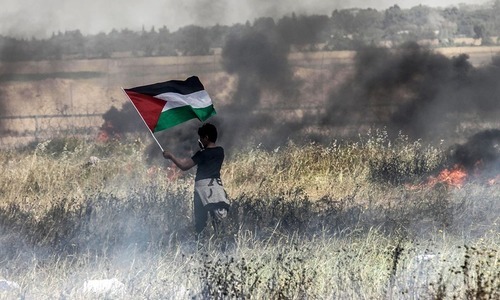 Two 21-year-olds, Hani Afana and Mohammed Shaqqura, were also shot dead in separate incidents near Khan Yunis in southern Gaza and Al-Bureij in the centre of the coastal enclave, the ministry said. 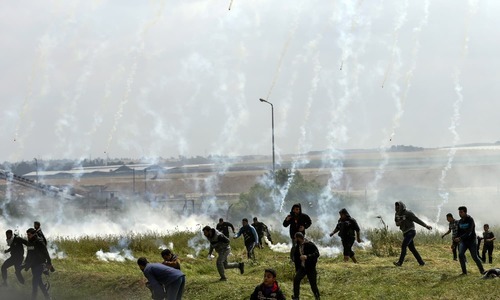 At least another 50 people were wounded, the ministry said, as Palestinians again demonstrated in different spots along the border. An Israeli tank also struck an observation point belonging to Islamists Hamas east of Gaza City, a security source in Gaza said. 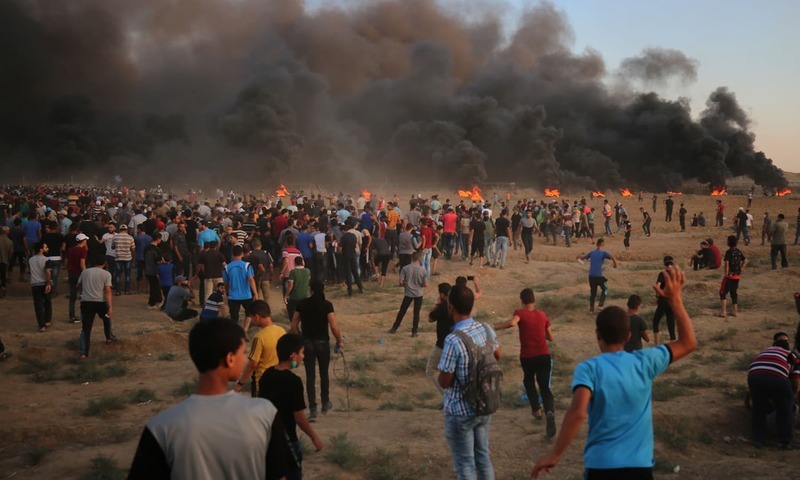 The Israeli army said an estimated 13,000 people were involved in “riots” at different locations, some of them burning tires and throwing Molotov cocktails. Mass protests and clashes broke out in Gaza on March 30 and have continued every week since. Over that period, at least 179 Palestinians have been killed by Israeli fire, the majority during demonstrations. Protests have waned in recent months. Israel maintains a crippling blockade of the Gaza Strip it says is necessary to isolate Hamas, with whom Israeli forces have fought three wars since 2008. Rights groups say the blockade amounts to collective punishment of the impoverished territory's two million residents. Israel fully reopened the only people crossing with Gaza on Thursday after a week following violent demonstrations that damaged it. Defence Minister Avigdor Lieberman has said the opening of border crossings is conditional on calm. What a shame-a massacre of Palestinians has been going on for decades, and yet no one cares;not even Muslims! 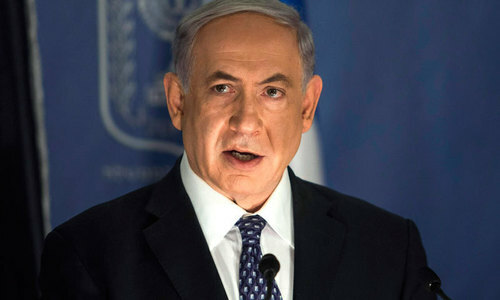 Israelis can kill ONE MILLION Palestinians withon one hour and the Western World, the real power holders, would not move an inch ahainst Israel. Israel should just allow them to cross the border, hand flowers to the Israelis and go back. @Shah . I agree and how one can expect end to these brutalities when even the judges of ICJ are threatened of sanctions and arrest if they hear cases against US and Israeli Army.